1983 is a five-piece band formed by Takuto Shimma born in 1983. All the members are born in the ’80s . Their music is based on individual music roots and seeks the possibility of Japanese pop. The trumpet and flute spices up the four beat rhythm. The members also work as studio musicians playing for Ono Yuki, Mori ha Ikiteiru, Peno, Shugo Tokumaru, Oh fune, Sham Cats, and Saho Terao. 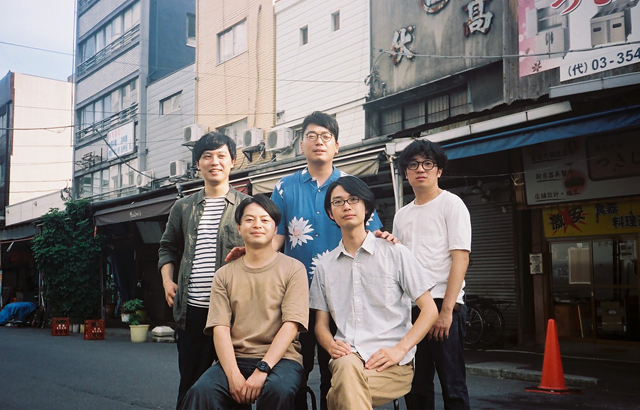 Takatsugu Mizutani left band and the band settled on the existing form of a five piece band.